The following is a list of charitable organizations that Wil supports. 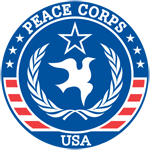 If you would like to donate or actively get involved, simply click on the image to the left of the description, and you will be taken to that organization’s home page. The CDF provides a strong, effective and independent voice for all the children of America who cannot vote, lobby or speak for themselves. We pay particular attention to the needs of poor children, children of color and those with disabilities. CDF educates the nation about the needs of children and encourages preventive investments before they get sick, drop out of school, get into trouble or suffer family breakdown. Girls Inc. inspires all girls to be strong, smart, and bold, providing more than 140,000 girls across the U.S. and Canada with life-changing experiences and solutions to the unique challenges girls face. The Girls Inc. Experience consists of people, an environment, and programming that, together, empower girls to succeed. Trained staff and volunteers build lasting, mentoring relationships in girls-only spaces that are physically and emotionally safe and where girls find a sisterhood of support with shared drive, mutual respect, and high expectations. 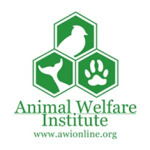 Since its founding in 1951, AWI has sought to alleviate the suffering inflicted on animals by people. In the organization’s early years, our particular emphasis was on the desperate needs of animals used for experimentation. In the decades that followed, we expanded the scope of our work to address many other areas of animal suffering. As a relatively new organization and through our initial involvement in the CDTI Kasongo, UFAR’s primary goal is to become a recognized and respected member of the coalition of international, national and local organizations currently involved in concerted efforts to eliminate onchocerciasis as a major public health and socioeconomic problem in the Democratic Republic of the Congo.